Beautiful scenery, delicious cuisine, rich history, and world-class wineries make New England the perfect destination for your next vacation. 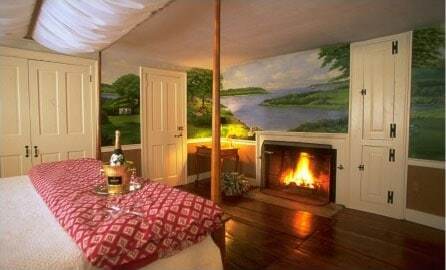 Whether you’re planning a romantic trip or relaxing getaway, you will surely have an unforgettable experience. One amazing destination to visit while in New England is Block Island. Just off the coast of mainland Rhode Island, Block Island offers 17 miles of pristine beaches along with a charming town full of shops and restaurants. Below is a list of some of the best things to do on Block Island. For more help planning the ultimate island trip and New England vacation, download our free Vacation Guide! The beaches on Block Island are spectacular, each with their own unique atmosphere. Spend the afternoon sunbathing at the quaint Mansion Beach or socializing at the more lively Ballard’s Beach. If you want a beach activity that will keep you on your toes, climb the steps up to the Mohegan Bluffs for one of the most breathtaking views in the area. These majestic, towering cliffs offer stunning overlooks of the vast, surrounding ocean. For help choosing your ideal beach, take a look at this guide of Block Island beaches. If freshly caught seafood with stunning ocean views sounds appealing, be sure to dine at one of Block Island’s incredible restaurants. Head to Poor People’s Pub for good food in a casual setting or enjoy a sophisticated, intimate dinner at Winfield’s Restaurant. You will have no trouble finding a delectable meal with the variety of places to eat on Block Island. There are plenty of things to do on Block Island without a car. Explore some of the island’s impressive lighthouses to get great views of the surrounding area and learn about the history of the island. The Block Island North Light and Block Island Southeast Light are both key parts of the fascinating Block Island history. Block Island horseback riding is the perfect way to explore the area and meet some local wildlife. You can also visit the Block Island National Wildlife Refuge to observe some of the creatures that have made this island their home. You will love exploring these 134 acres of beautifully preserved land. Aside from outdoor activities, there is so much to do on Block Island. Perfect for art lovers and shoppers, the town offers over 50 stores and specialty shops as well as art galleries and theaters. Take home a piece of handmade pottery or jewelery as a special treasure to remember your trip. Spend some time strolling through an art gallery or catching a film at one of the island’s movie theaters. Spend your evening unwinding at the bars on Block Island. With several bars and restaurants open late, you’ll find a casual but lively nightlife scene on the island. Beach bars like Captain Nick’s Rock ’N Roll Bar offer great food, live music, and a friendly atmosphere. People love to relax and have fun around here. No trip is complete without a great place to stay! We invite you to vacation with us at the Stonecroft Country Inn. 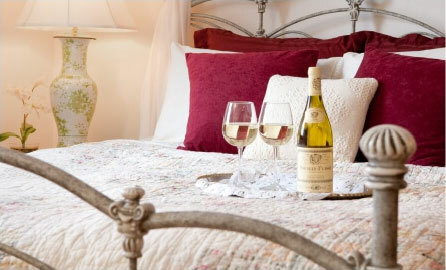 Our cozy bed and breakfast in Stonington, CT, contains beautiful rooms, each fully equipped with all the amenities you need for a weekend of rest and relaxation. With Block Island just a two-hour drive away, you can spend the night in our inn, then take a fun day trip to this nearby destination. You can also explore the many things to do around our surrounding town of Mystic or simply unwind in the warmth of our cozy environment with a book and a blanket. We look forward to having you! Check our availability now to begin planning the perfect vacation.